How long actually constitutes a long road trip depends on your personal point of view, but what isn’t open for conjecture is the fact it makes a lot of sense to get your car ready for any lengthy journey. Of course, car maintenance, car servicing and general car care can go a long way to making sure you get where you’re planning to without any mechanical or other mishaps. But here are a number of things you can do beyond scheduled maintenance to give you the best chance of a failure-free trip. There are a lot of fluids that play vital parts in keeping your vehicle running the way it should, and it's a particularly important area you can look at to prevent some very avoidable failures. Checking the oil, the coolant and brake fluid are probably the most major ones you'll think of, but don’t underestimate how important the windscreen wash is in helping to avoid an accident and it has to be the easiest thing to check on your car. 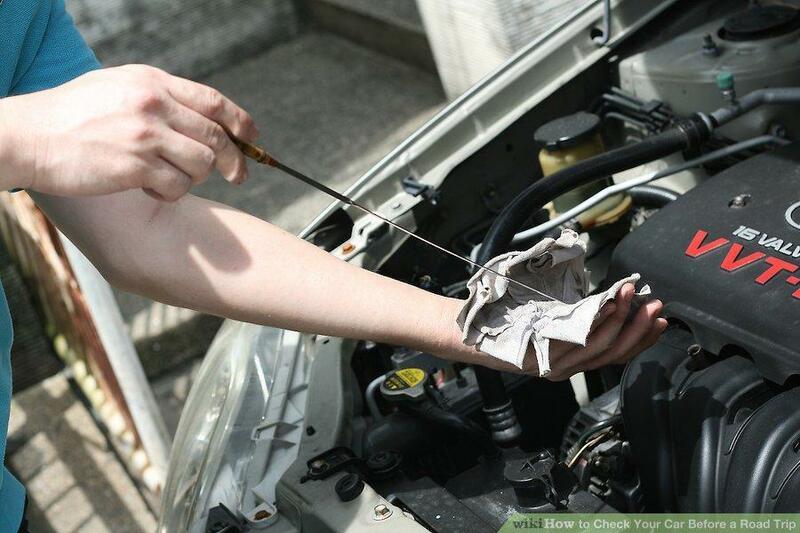 The clutch fluid and power steering fluid if you have power steering, are also worth checking up on, but if you’re not particularly mechanically minded you might want to get a technician to do it for you. It probably not unfair to say that tires are one of the most important things to keep an eye on to avoid problems, and also one of the most neglected. It's amazing how many people rarely, if ever check the condition of their tires at all, but it's a vital job that should only take a minute and it could save a lot of time and stress at the side of the road later on. As well as checking how much tread is left on them and the pressures, look for uneven wear and cracking. If there is uneven wear evident, it's time to visit a garage to get the wheel and steering alignment checked. It's easy to think there's no point washing your car before you set off on a long journey because it's obviously only going to get dirty again right away, right? Well, it's a good idea to be able to see where you're going and what's around you during your trip, so clean windows inside and out is only going to help. You may as well clean the whole thing while you’re at it then, but even if you don’t, make sure the glass is clean and check the condition of your wipers while you’re at it. Even if you've recently had a service carried out, it's still wise to check that all your lights and signals are working properly. After all, if you're the driver, how often do you see your lights and signals from outside your vehicle? Nobody changes bulbs during a service if they're working fine, and there's no way of predicting if they're going to go so one could have stopped working even driving home after a service. Fiddling with your navigation system trying to input something while you’re driving is annoying and dangerous, so make sure you have every destination you’re likely to need for your journey before you set off. The same goes for phone numbers and music too, and don’t forget to have your home location programmed in. It's amazing how many people get lost halfway home on a long, unfamiliar route and then realize they've not programmed home into the navigation. It's not a problem to pull over on a quiet road, but it can waste quite a bit of time if you’re caught on a busy highway. There's an almost endless list of things you can do to prepare for a long trip in your car, but if you’re unsure about being capable to do any of the more major maintenance tasks you can get in touch with us here at Van Isle Ford for all the help you need.